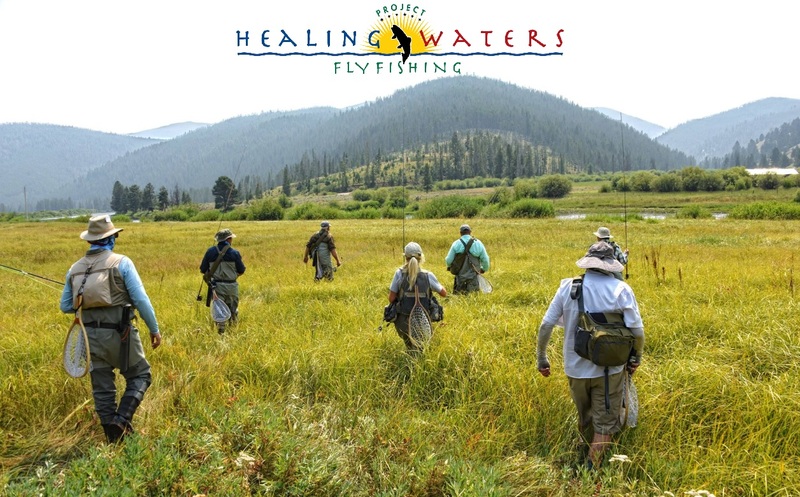 Thanks to a partnership with PHWFF, disabled U.S. veterans gather at the Freedom Ranch for Heroes to experience the therapeutic powers of fly fishing and to connect with other heroes. Freedom Ranch For Heroes – located in Wise River, Montana – hosts military heroes who have served our country. During their ranch visits, these courageous heroes are able to have some fun, learn new skills, and spend quality time with their fellow veterans. I to am a retired Veteran that has lost dear friends to the horrors of war it is a privilege and an honor to be able to help my brothers. Just saw you on Barnwood Builders. We know the love of flyfishing and wish you to feel our gratitude for your service. Bless you all. My family wouldn’t have the life that we have were it not for the Warriors that have given their all for us. GOD BLESS AMERICA!! Thank you for your service. It’s because of your sacrifice that we have freedom. For the VET's who have given so much for us!!! My father was in the Army Air Corps Pilot Cadet class 44 H, so veterans are special to my family. Thank you for your service. Saw the Barnyard Builder episode. Thanks for caring for our Heroes! All gave some, some gave all. Thank you and your family for your sacrifice. We love our military men and women. We learned about Freedom Ranch on Barn Wood Builders.